Silviken AC, Kvernmo S (2007). Suicide attempts among indigenous Sami adolescents and majority peers in Arctic Norway: prevalence and associated risk factors. J Adolesc. Aug;30(4):613-26. Spein AR, Sexton H, Kvernmo S (2007). Substance use in young indigenous Sami: an ethnocultural and longitudinal perspective. Subst Use Misuse. ;42(9), 1379-400.
prevalence and correlates. Int J of Circumpolar Health, 68 (3): 235-248. Bals M, Turi AL, Skre,I, Kvernmo S (2011). Self-reported internalization symptoms and family factors in indigenous Sami and non-Sami adolescents in North Norway. J Adolesc. 2011 Aug;34(4):759-66. Epub 2010 Sep 16. Hanssen-Bauer K, Langsrud O, Kvernmo S, Heyerdahl S.Clinician-rated mental health in outpatient child and adolescent mental health services: associations with parent, teacher and adolescent ratings.Child Adolesc Psychiatry Ment Health. 2010 Nov 25;4:29. Mathiassen B, Brøndbo PH, Waterloo K, Martinussen M, Hansen-Bauer K, Eriksen M, Kvernmo S. IQ as a predictor of clinician rated mental health problems in children and adolescents. Br J Clin Psychol. 2012 Jun;51(2):185-96. Brondbo PH, Mathiassen B, Martinussen M, Handegard BH, Kvernmo S. Agreement on diagnoses and severity of mental health problems between a research and a naturalistic clinical setting. J Telemed Telecare, in press. Spein, Anna Rita; Pedersen, Cecilia P; Silviken, Anne Cathrine; Melhus, Marita; Kvernmo, Siv; Bjerregaard, Peter. Self-rated health among Greenlandic Inuit and Norwegian Sami adolescents: associated risk and protective correlates. International Journal of Circumpolar Health 2013 ;Volum 72. Ung i Nord (The North Norwegian Youth Study). En longitudinell oppfølgingsstudie av 3200 samiske, kvenske og norske videregående skolelever i Nord-Norge, RBUP, UiTø, 1993-98. Undersøkelsen har dannet datagrunnlaget for 3 doktorgrader hittil samt en rekke sær- og hovedoppgaver for medisiner- og psykologistudenter vedr psykisk helse og etnisitet. BUP Nord. Evaluering av klinisk praksis, struktur og behandlingsforløp i barne- og ungdomspsykiatrien. En multisenterstudie av pasienter i barne- og ungdomspsykiatriske poliklinikker i Helse Nord, 2002-2008. Prosjektleder. Datainnsamlingen omfattet klinisk materiale fra 5 barne- og ungdomspsykiatriske poliklinikker i Helse Finnmark og UNN. Det er knyttet tre PhD studenter til undersøkelsen. Ungdomshelseundersøkelsen i Nord-Norge (UHNN). En epidemiologisk undersøkelse av 10.klassinger i N-Norge, 2003-2005 med oppfølging av skoleelevene fra Tromsø kommune i 2008. Prosjektleder. Data fra ca. 4800 skolelever dannet datagrunnlaget for PhD-graden for 2 stipendiater som har disputert. Tre nye doktorgradsstudenter er tilknyttet prosjektet nå som knytter registerdata til tverrsnittsdata. ADHD and nutrition er et dobbelkompetanseprosjekt hvor det er ansatt en lege som både spesialiserer seg i bup og skal ta sin doktorgrad på ADHD og ernæring. Vedkommende er i sitt første kliniske år og datainnsamlingen starter opp høsten 2013. Prosjektleder. UNGT. Fra ung til voksen- helse i et utviklingsperspektiv. Dette er en longitudinell studie som kobler data fra UHNN til en rekkeregistre som FD-trygd, NUDB, Norsk pasientregister og data fra SSB. Tre PhD-og en masterstudent er tilknyttet UNGT. Prosjektleder. 1999 og 2003: Helse- og rehabilitering: Mottatt midler til to stipendiatstillinger for hhv Anna Rita Spein og Anne Silviken. 2004: Helse Nord: Mottatt midler til stipendiat Børge Mathiassen forprosjektet BUP Nord 2005-2008: Evnetesters betydning i barne- og ungdomspsykiatrien. 2007 og 2008: Helse Nord: Mottatt driftsmidler til prosjektet BUPreg - et forskningsverktøy for klinisk forskning. Veiledning av PhD-studenter og Lis, undervisning av medisinerstudenter, leger i spesialisering i barne- og ungdomspsykiatri, samt studenter innen andre helseprofesjoner. Reigstad, Bjørn Steinar; Kvernmo, Siv. Concurrent adversities and deliberate self-harm among indigenous Sami and majority Norwegian adolescents: the Norwegian Arctic Adolescent Health Study. Scandinavian Journal of Child and Adolescent Psychiatry and Psychology 2017; Volum 5 (3). ISSN 2245-8875.s 92 - 103.s doi: 10.21307/sjcapp-2017-011. Reigstad, Bjørn Steinar; Kvernmo, Siv. Concurrent adversities and suicide attempts among Sami and non-Sami adolescents: the Norwegian Arctic Adolescent Study (NAAHS). Nordic Journal of Psychiatry 2017; Volum 71 (6). ISSN 0803-9488.s 425 - 432.s doi: 10.1080/08039488.2017.1315175. Eckhoff, Christian; Straume, Bjørn; Kvernmo, Siv. Multisite musculoskeletal pain in adolescence as a predictor of medical and social welfare benefits in young adulthood: The Norwegian Arctic Adolescent Health Cohort Study. European Journal of Pain 2017; Volum 21 (10). ISSN 1090-3801.s 1697 - 1706.s doi: 10.1002/ejp.1078. Eckhoff, Christian; Straume, Bjørn; Kvernmo, Siv. Multisite musculoskeletal pain in adolescence and later mental health disorders: a population-based registry study of Norwegian youth: the NAAHS cohort study. BMJ Open 2017; Volum 7:e012035 (2). ISSN 2044-6055.s 1 - 11.s doi: 10.1136/bmjopen-2016-012035. Ritte, R; Panozzo, S; Johnston, L; Agerholm, J; Kvernmo, Siv; Rowley, K; Arabena, K. An Australian Model of the First 1000 Days: An Indigenous led process to turn an International initiative into an early life strategy benefiting Aboriginal and Torres Strait Islander families. Global Health, Epidemiology and Genomics 2016; Volum 51 (10). ISSN 2054-4200. Reigstad, Bjørn Steinar; Kvernmo, Siv. Concurrent adversities among adolescents with conduct problems: the NAAHS study. Social Psychiatry and Psychiatric Epidemiology 2016; Volum 51 (10). ISSN 0933-7954.s 1429 - 1438.s doi: 10.1007/s00127-016-1258-8. Bania, Elisabeth; Kvernmo, Siv. Tertiary education and its association with mental health indicators and educational factors among Arctic young adults: the NAAHS cohort study. International Journal of Circumpolar Health 2016; Volum 75:32086. ISSN 1239-9736.s doi: 10.3402/ijch.v75.32086. Bania, Elisabeth; Lydersen, Stian; Kvernmo, Siv. Non-completion of upper secondary school among female and male young adults in an Arctic sociocultural context; the NAAHS study. BMC Public Health 2016; Volum 16 (1). ISSN 1471-2458.s doi: 10.1186/s12889-016-3644-2. Bania, Elisabeth; Eckhoff, Christian; Kvernmo, Siv. The influence of mental health, psychosocial factors and educational skills on educational aspirations among indigenous Sámi and nonindigenous adolescents in the Arctic. (fulltekst) Scandinavian Journal of Child and Adolescent Psychiatry and Psychology 2015; Volum 3 (3). ISSN 2245-8875.s 169 - 179. Reigstad, Bjørn Steinar; Kvernmo, Siv. ADHD - eller noe annet? : belastende livshendelser hos unge med ADHD-symptomer. (fulltekst) Tidsskrift for Norsk Psykologforening 2015; Volum 52 (4). ISSN 0332-6470.s 303 - 311. Kvernmo, Siv. Tiden er et skip som ikke kaster anker. Utvikling av helse- og sykdomsbildet og helsetjenester i den samiske befolkningen.. Utposten 2014 (6). ISSN 0800-5680.s 39 - 43. Eckhoff, Christian; Kvernmo, Siv. Musculoskeletal pain in Arctic indigenous and non-indigenous adolescents, prevalence and associations with psychosocial factors: A population-based study. BMC Public Health 2014; Volum 14 (1). ISSN 1471-2458.s doi: 10.1186/1471-2458-14-617. Chatwood, Susan; Bytautas, Jessica; Darychuk, Anthea; Bjerregaard, Peter; Brown, Adalsteinn; Cole, Donald; Hu, Howard; Jong, Micheal; King, Malcolm; Kvernmo, Siv; Veillard, Jeremy. Approaching a collaborative research agenda for health systems performance in circumpolar regions. International Journal of Circumpolar Health 2013; Volum 72. ISSN 1239-9736.s doi: 10.3402/ijch.v72i0.21474. Brøndbo, Per Håkan; Mathiassen, Børge Idar; Martinussen, Monica; Handegård, Bjørn Helge; Kvernmo, Siv. Agreement on diagnoses of mental health problems between an online clinical assignment and a routine clinical assignment. Journal of Telemedicine and Telecare 2013; Volum 19 (2). ISSN 1357-633X.s 113 - 119.s doi: 10.1258/jtt.2012.120209. Spein, Anna Rita; Pedersen, Cecilia P; Silviken, Anne Cathrine; Melhus, Marita; Kvernmo, Siv; Bjerregaard, Peter. Self-rated health among Greenlandic Inuit and Norwegian Sami adolescents: associated risk and protective correlates. International Journal of Circumpolar Health 2013; Volum 72. ISSN 1239-9736.s doi: 10.3402/ijch.v72i0.19793. Mathiassen, Børge Idar; Brøndbo, Per Håkan; Waterloo, Knut; Martinussen, Monica; Eriksen, Mads; Hanssen-Bauer, Ketil; Kvernmo, Siv. IQ as a predictor of clinician-rated mental health problems in children and adolescents. British Journal of Clinical Psychology 2012; Volum 51. ISSN 0144-6657.s 185 - 196.s doi: 10.1111/j.2044-8260.2011.02023.x. Nilsen, TS; Eisemann, Martin; Kvernmo, Siv. Predictors and moderators of outcome in child and adolescent anxiety and depression; A systematic review of psychological treatment studies. European Journal of Child and Adolescent Psychiaty / Acta paedopsychiatrica 2012; Volum Aug (26). ISSN 0936-6075.s doi: 10.1007/s00787-012-0316-3. Mathiassen, Børge Idar; Brøndbo, Per Håkan; Waterloo, Knut; Martinussen, Monica; Eriksen, Mads; Hanssen-Bauer, Ketil; Kvernmo, Siv. IQ as a moderator of outcome in severity of children's mental health status after treatment in outpatient clinics. Child and Adolescent Psychiatry and Mental Health 2012; Volum 6 (22). ISSN 1753-2000.s doi: 10.1186/1753-2000-6-22. Brøndbo, Per Håkan; Mathiassen, Børge Idar; Martinussen, Monica; Heiervang, Einar; Eriksen, Mads; Kvernmo, Siv. Agreement on web-based diagnoses and severity of mental health problems in Norwegian child and adolescent mental health services. (fulltekst) Clinical Practice and Epidemiology in Mental Health 2012; Volum 8. ISSN 1745-0179.s 16 - 21.s doi: 10.2174/1745017901208010016. Bals, Margrete J; Turi, Anne Lene; Skre, Ingunn; Kvernmo, Siv. The relationship between internalizing and externalizing symptoms and cultural resilience factors in Indigenous Sami youth from Arctic Norway. (fulltekst) International Journal of Circumpolar Health 2011; Volum 70 (1). ISSN 1239-9736.s 37 - 45. Brøndbo, Per Håkan; Mathiassen, Børge Idar; Martinussen, Monica; Heiervang, Einar; Eriksen, Mads; Moe, Therese Fjeldmo; Sæther, Guri; Kvernmo, Siv. The Strengths and Difficulties Questionnaire as a screening instrument for Norwegian Child and Adolescent Mental Health Services, application of UK scoring algorithms. Child and Adolescent Psychiatry and Mental Health 2011; Volum 5:32. ISSN 1753-2000.s 1 - 10.s doi: 10.1186/1753-2000-5-32. Bals, Margrete J; Turi, Anne Lene; Vittersø, Joar; Skre, Ingunn; Kvernmo, Siv. Self-reported internalization symptoms and family factors in indigenous Sami and non-Sami adolescents in North Norway. Journal of Adolescence 2011; Volum 34 (4). ISSN 0140-1971.s 759 - 766.s doi: 10.1016/j.adolescence.2010.08.005. Bremnes, Ann-Merete; Martinussen, Monica; Laholt, Hilde; Bania, Elisabeth Valmyr; Kvernmo, Siv. Positiv sammenheng mellom psykisk helse og fysisk aktivitet blant ungdom i videregående skole. Tidsskrift for Norsk Psykologforening 2011; Volum 48 (4). ISSN 0332-6470.s 332 - 338. Hanssen-Bauer, Ketil; Langsrud, Øyvind; Kvernmo, Siv; Heyerdahl, Sonja. Clinician-rated mental health in outpatient child and adolescent mental health services: associations with parent, teacher and adolescent ratings. (fulltekst) Child and Adolescent Psychiatry and Mental Health 2010; Volum 29 (4). ISSN 1753-2000.s doi: 10.1186/1753-2000-4-29. Bals, Margrete J; Turi, Anne Lene; Vittersø, Joar; Skre, Ingunn; Kvernmo, Siv. Self-reported internalization symptoms and family factors in indigenous Sami and non-Sami adolescents in North Norway. Journal of Adolescence 2010. ISSN 0140-1971.s 1 - 8.s doi: 10.1016/j.adolescence.2010.08.005. Bals, Margrete J; Turi, Anne Lene; Skre, Ingunn; Kvernmo, Siv. Internalization symptoms, perceived discrimination, and ethnic identity in indigenous Sami and non-Sami youth in Arctic Norway. Ethnicity and Health 2010; Volum 15 (2). ISSN 1355-7858.s 165 - 179.s doi: 10.1080/13557851003615545. Kvernmo, Siv; Rosenvinge, Jan H. SELF-MUTILATION AND SUICIDAL BEHAVIOUR IN SAMI AND NORWEGIAN ADOLESCENTS: PREVALENCE AND CORRELATES. International Journal of Circumpolar Health 2009; Volum 68 (3). ISSN 1239-9736.s 235 - 248. Turi, Anne Lene; Bals, Margrete J; Skre, Ingunn; Kvernmo, Siv. Health service use in indigenous Sami and non-indigenous youth in North Norway: A population based survey. BMC Public Health 2009; Volum 9. ISSN 1471-2458.s doi: 10.1186/1471-2458-9-378. Spein, Anna Rita; Sexton, Harold; Kvernmo, Siv. Substance use in young indigenous sami: An ethnocultural and longitudinal perspective. Substance Use & Misuse 2007; Volum 42. ISSN 1082-6084.s 1379 - 1400. Silviken, Anne; Kvernmo, Siv. Suicide attempts among indigenous Sami adolescents and majority peers in Arctic Norway: Prevalence and associated risk factors. Journal of Adolescence 2007; Volum 30. ISSN 0140-1971.s 613 - 626.s doi: 10.1016/j.adolescence.2006.06.004. Dahl, Lauritz Bredrup; Kaaresen, Per Ivar; Tunby, Jorunn; Handegård, Bjørn Helge; Kvernmo, Siv; Rønning, John Andreas. Emotional, behavioral, social, and academic outcomes in adolescents born with very low birth weight. Pediatrics 2006; Volum 118. ISSN 0031-4005.s E449 - E459. Silviken, Anne; Haldorsen, Tor; Kvernmo, Siv. Suicide among indigenous Sami in Arctic Norway, 1970-1998. European Journal of Epidemiology 2006; Volum 21. ISSN 0393-2990.s 707 - 713.s doi: 10.1007/s10654-006-9052-7. Curtis, Tine; Kvernmo, Siv; Bjerregaard, Peter. Changing living conditions, life style and health. International Journal of Circumpolar Health 2005; Volum 64 (5). ISSN 1239-9736.s 442 - 450. Heyerdahl, Sonja; Kvernmo, Siv; Wichstrøm, Lars. Self-reported behavioural/emotional problems in Norwegian adolescents from multiethnic areas. (sammendrag) European Child and Adolescent Psychiatry 2004; Volum 13 (2). ISSN 1018-8827.s 64 - 72.s doi: 10.1007/s00787-004-0359-1. Kvernmo, Siv; Heyerdahl, Sonja. Ethnic identity and acculturation attitudes among indigenous Norwegian Sami and ethnocultural Kven adolescents. (sammendrag) Journal of Adolescent Research 2004; Volum 19 (5). ISSN 0743-5584.s 512 - 532.s doi: 10.1177/0743558403259991. Kvernmo, Siv. Mental health of Sami Youth. International Journal of Circumpolar Health 2004; Volum 63 (3). ISSN 1239-9736.s 221 - 234. Spein, Anna Rita; Sexton, Harold; Kvernmo, Siv. Predictors of smoking behaviour among indigenous Sami adolescents and non-indigenous peers in North Norway. Scandinavian Journal of Public Health 2004; Volum 32 (2). ISSN 1403-4948.s 118 - 129. Kvernmo, Siv; Heyerdahl, Sonja. Acculturation strategies and ethnic identity as predictors of behavioral/emotional problems in arctic minority adolescents. Journal of the American Academy of Child and Adolescent Psychiatry 2003; Volum 42 (1). ISSN 0890-8567.s 57 - 65.s doi: 10.1097/00004583-200301000-00011. Hassler, Sven; Kvernmo, Siv; Kozlov, Andrew. Sami. University of Toronto Press 2008 ISBN 9780802091093. Silviken, Anne; Kvernmo, Siv. Mental Health and Suicide. University of Toronto Press 2008 ISBN 978-0-8020-9109-3. Kvernmo, Siv. Indigenous peoples. Cambridge University Press 2006 ISBN 9780521849241. Nilsen, Siv Eirin; Kvernmo, Siv. The SamBa Study: Growing up in the Arctic – a Longitudinal study of early childhood development and health in indigenous and non-indigenous children. Seminar 2018-10-02 - 2018-10-02 2018. Nilsen, Siv Eirin; Kvernmo, Siv. The SamBa study; Growing up in the Arctic. ICCH2018 2018-08-12 - 2018-08-16 2018. Bania, Elisabeth Valmyr; Lydersen, Stian; Kvernmo, Siv. Non-completion of upper secondary school among female and male young adults in an Arctic sociocultural context; The NAAHS study. Kunnskapsbasert folkehelsearbeid - Utfordringer og muligheter for psykisk helse 2018-10-09 - 2018-10-10 2018. Bania, Elisabeth Valmyr; Lydersen, Stian; Kvernmo, Siv. Non-completion of upper secondary school among female and male young adults in an Arctic sociocultural context; The NAAHS study. Forskerdagene 2018 2018-09-25 - 2018-09-25 2018. Nilsen, Siv Eirin; Kvernmo, Siv. The SamBa Study: Growing up in the Arctic – a Longitudinal study of early childhood development and health in indigenous and non-indigenous children. Gjesteforelesning 2018-10-08 - 2018-10-08 2018. Kvernmo, Siv. "Samisk helse − det tause tema i helsefagutdanningene?". Det helsevitenskapelige fakultets blogg 2017-02-06 - 2017. Bania, Elisabeth Valmyr; Kvernmo, Siv. Drop-out from high school among female and male young adults in an Arctic sociocultural context; the NAAHS study. Alta 2017 - 4th International Indigenous Voices In Social Work Conference 2017-06-12 - 2017-06-14 2017. Kvernmo, Siv. Starter ny forskning på ADHD og Omega-3-effekt. 2017. Kvernmo, Siv. En kamp om å passe inn i det samiske miljøet. 2017. Kvernmo, Siv; Bania, Elisabeth. Utdanningsforskning.no. 2016. Kvernmo, Siv. The impact of cultural determinants on indigenous Sami adolescents’ well-being and mental health. The Lowitja Institute International Indigenous Health and Wellbeing Conference 2016-11-08 - 2016-11-10 2016. Bania, Elisabeth; Lydersen, Stian; Kvernmo, Siv. Da klokka klang - hvem stod igjen og hang? Drop-out, frafall eller bortfall i videregående skole – mange navn på en og samme floke.. http://blogg.uit.no/helsefak/da-klokka-klang-hvem-stod-igjen-og-hang/ (data) 2016-12-16 - 2016. Bania, Elisabeth Valmyr; Kvernmo, Siv; Jørum, Frode. Hva påvirker ungdommens utdanningsplaner?. (data) 2015. Kvernmo, Siv. Fet fisk er bra for hjernen. Norsk Sjømat 2015 (4). ISSN 0807-1551.s 40 - 41. Kvernmo, Siv. ADHD for foreldre. BUP/UNNs kurs for foreldre med barn med ADHD 2015-05-20 - 2015-05-20 2015. Kvernmo, Siv. Barnepsykiatrisk epidemiologi. Grunnkurs for spesialiteten barne- og ungdomspsykiatri 2015-03-02 - 2015-03-02 2015. Kvernmo, Siv. Hva er det som beskytter samiske barn og unge?. PSYKISK HELSE OG RUSMIDDELFORSKNING Ubehag i kulturen eller kultur i ubehaget 2015-02-02 - 2015-02-04 2015. Kvernmo, Siv. Hva er det som beskytter samiske barn og unge?. 2015. Mathiassen, Børge; Myrbakk, Even; Brøndbo, Per Håkan; Steinsvik, Oddmar Ole; Martinussen, Monica; Kvernmo, Siv; Halvorsen, Marianne. Psykisk helse og mestring i barnehabilitering – hva vet vi?. Nasjonal forskningskonferanse i habilitering 2015-10-29 - 2015-10-29 2015. Halvorsen, Marianne; Myrbakk, Even; Mathiassen, Børge; Steinsvik, Ole Oddmar; Martinussen, Monica; Kvernmo, Siv. The Aberrant Behavior Checklist: Psychometric Properties in a neuropaediatric sample. 16th International ESCAP Congress from research to clinical practice 2015-06-19 - 2015-06-24 2015. Kvernmo, Siv. Suicide amog the Sami. Mental Well-Being and Suicide Prevention in Circumpolar Regions: Developing the Evidence Base and Identifying Promising Practices. 2014-05-13 - 2014-05-16 2014. Kvernmo, Siv. Suicidal behavior and mental health in a Sami context. 20th IEA World Congress of Epidemiology 2014-08-17 - 2014-08-21 2014. Kvernmo, Siv. Hva betyr ernæring og kosthold for barn og unges psykiske helse?. Schizofrenidagene 2014 2014-11-05 - 2014-11-07 2014. Kvernmo, Siv. Medikamentell behandling av barn og unge i psykisk helsevern – hjelper det?. Schizofrenidagene 2014 2014-11-03 - 2014-11-07 2014. Kvernmo, Siv. Barn- og unges helse i arktiske strøk - hvordan står det til her?. Nasjonal oppvekstkonferanse 2014-10-06 - 2014-10-07 2014. Ytrehus, Kirsti; Augestad, Liv Ariane; Hagve, Tor-Arne; Kristoffersen, Espen Saxhaug; Kvernmo, Siv; Middelfart, Anna; Pettersen, Helge Bjørnstad; Vedeler, Christian A.. Satsingen på medisinsk forskning kan bli svekket. Dagens medisin 2014; Volum 19. ISSN 1501-4290.
risø, torsten; Kvernmo, Siv. An Arctic Medical Education?. Arctic Frontiers 2014: Umans in the Arctic 2014-01-19 - 2014-01-24 2014. Kvernmo, Siv. Hvem er jeg? Betydningen av kultur og etnisitet for psykisk helse hos minoritetsungdom. Vikenkonferansen 2013 2013-10-23 - 2013. Kvernmo, Siv. Hvem er jeg. Betydningen av kulturell og etnisk identitet for psykisk helse hos minoritetsungdom. Grunnkurs i barne- og ungdomspsykiatri 2012-2014 2013-08-26 - 2013-08-29 2013. Kvernmo, Siv. "Påsatt vett sitter ikke". Pedagogiske prinsipper i spesialistutdanningen. Kurs for utdanningsutvalgene i spesialiteten i barne- og ungdomspsykiatri 2013-06-06 - 2013-06-07 2013. Kvernmo, Siv. Hvor ble barndommen av?. Folkehelsekonferansen Ung fremtidshelse 2013-11-05 - 2013-11-07 2013. Kvernmo, Siv. Spis sild og bli snill. Ottar 2013; Volum 4 (297). ISSN 0030-6703.s 39 - 49. Bania, Elisabeth Valmyr; Kvernmo, Siv. "Footprints from school to work: Educational aspiration among Sami adolescents - agency and structure". Inherent Dignity, Equality and Rights 2013-06-18 - 2013-06-20 2013. Kvernmo, Siv. Hva er helsefremmende og helsehemmende for barn/unge med ADHD?. Sårbar oppvekst 2012-09-26 - 2012-09-27 2012. Kvernmo, Siv. Helsefremmende og helsehemmende faktorer i barne og unges oppvekst. Sårbar oppvekst 2012-09-26 - 2012-09-27 2012. Kvernmo, Siv. Utredning og diagnostikk i barne- og ungdomspsykiatrisk praksis. Grunnkurs i barne- og ungdomspsykiatri 2012-2014 2012-03-05 - 2012-03-08 2012. Mathiassen, Børge Idar; Brøndbo, Per Håkan; Waterloo, Knut; Martinussen, Monica; Eriksen, Mads; Hanssen-Bauer, Ketil; Kvernmo, Siv. IQ as a moderator of outcome in severity of children's mental health status after treatment in outpatient clinics. The International Neuropsychological Society mid-year meeting 2012-06-27 - 2012-06-30 2012. 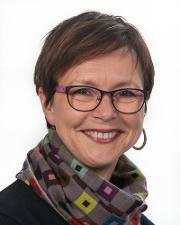 Bremnes, Ann Merete Jensen; Martinussen, Monica; Laholt, Hilde; Bania, Elisabeth Valmyr; Kvernmo, Siv; Kvernmo, Siv. Sammenheng mellom psykisk helse og fysisk aktivitet blant ungdom i videregående skole. Helsesøsterkongressen 2011-04-12 - 2011-04-14 2011. Mathiassen, Børge; Brøndbo, P H; Eriksen, M; Hanssen-Bauer, Ketil; Martinussen, Monica; Waterloo, Knut; Kvernmo, Siv. IQ som prediktor for funksjonssvikt og psykisk helsetilstand hos barn og ungdom henvist til BUP. Regional forskningskonferanse i medisin og helse. 2009-03-25 - 2009-03-26 2009. Kvernmo, Siv. Young and Sami- factors of health promotion and health constrain. 29th Nordic Congress of Psychiatry 2009-08-23 - 2009-08-25 2009. Kvernmo, Siv. Mental health and living conditions among Sami adolescents – Another disadvantaged indigenous story, 2009. The 4th Barents conference in psychiatry 2009-03-17 - 2009-03-19 2009. Kvernmo, Siv. Ung og same.Helsefremmende og helsehemmende faktorer. 9:e Nordiska folkhâlsokonferans 2008-06-09 - 2008-06-12 2008. Kvernmo, Siv. Violence and sexual abuse in ethnic diverse adolescents in North Norway. 5thWorld Conference on the Promotion of Mental Health and the Prevention of Mental and Behavioral Disorders 2008-09-10 - 2008-09-12 2008. Kvernmo, Siv. Psykisk helse hos barn og ungdom i nordområdene. Betydning av kultur og miljø. Norges forskningsråds konferanse i psykisk helse/ Øyer-konferansen 2007-02-12 - 2007-02-14 2007. Kvernmo, Siv. CHANGE IN ETHNIC AND NATIONAL IDENTITY IN INDIGENOUS SAMI ADOLESCENTS – a ten year perspective. Society for Research on Identity Formation 2007-03-03 - 2007-03-06 2007. Dahl, Lauritz Bredrup; Kaaresen, Per Ivar; Tunby, Jorunn; Handegård, Bjørn Helge; Kvernmo, Siv; Rønning, John Andreas. Emotional and behavioral problems and social and academic competence in very low birth weight adolescents. Regional forskningskonferanse innen medisin og helse 2006-11-01 - 2006-11-02 2006. Dahl, Lauritz Bredrup; Kaaresen, Per Ivar; Tunby, Jorunn; Handegård, Bjørn Helge; Kvernmo, Siv; Rønning, John Andreas. Emotional, behavioral,social and academic outcomes in adolescents born with very low birth weight. Europediatrics 2006-10-07 - 2006-10-10 2006. Dahl, Lauritz Bredrup; Kaaresen, Per Ivar; Tunby, Jorunn; Handegård, Bjørn Helge; Kvernmo, Siv; Rønning, John Andreas. Emosjonelle og atferdsmessige problemer og sosial og akademisk kompetanse hos VLBW ungdom. En populasjonsbasert studie. Perinataldagene 2005-11-09 - 2005-11-11 2005. Kvernmo, Siv. Utfordringer i framtidig samisk barnepsykiatri. Jubileumsseminar til BUP Karasjok 2004-10-16 - 2004. Kvernmo, Siv. Acculturation Stratgies and Ethnic Identity as Predictors of Behavior Problems in Arctic Minority Adolescents. Symposiet A Global perspective on problems of Identity Development and Suicide in Indigenous Minority Youth 2004-06-28 - 2004-07-03 2004. Kvernmo, Siv. Mental health in Sami youngsters. Arctic conference 2004-02-27 - 2004-03-02 2004. Kvernmo, Siv. Mental health and well-being among young Sami in Norway. Internasjonal konferanse 2003-09-13 - 2003-09-16 2003. Kvernmo, Siv. Ung i Sapmi. 2003 ISBN 82-996789-0-0.s 35 - 39. Kvernmo, Siv. Helse og levekår blant samer i fortid og nåtid. Ottar 2003; Volum 2. ISSN 0030-6703.s 38 - 47. Kvernmo, Siv; Heyerdahl, Sonja. Ethnic factors and behavior problems in Sami and Kven youth. 11th International Congress ESCAP (fulltekst) 1999-09-15 - 1999-09-18 1999.